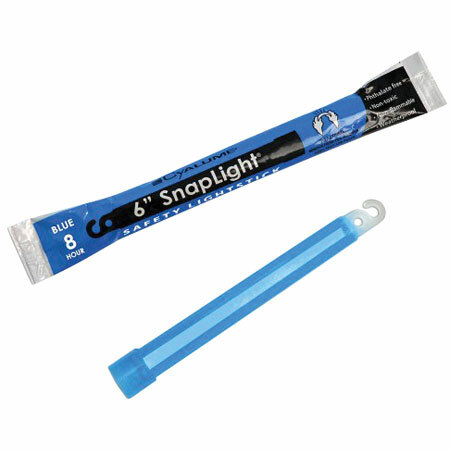 The Cyalume 6" SnapLight (10 Pack) is a industrial grade chemical stick that provides instant 360 degrees of illumination that can be seen up to a mile away for up to 8 hours in optimal conditions. The SnapLight is waterproof, non-toxic and non-flammable. To activate the light stick, bend, snap and shake the tube. The light stick has a hook and gate top for hanging or attaching the light. Each light stick is individually foil-wrapped for protection from light and moisture, and has up to a five-year shelf life from date or manufacture.